In recognition of World AIDS Day on December 1, Advanced Urgent Care encourages everyone in Brighton, CO to get tested for HIV, the virus that causes AIDS. In the United States, about 1 in 5 people who has HIV doesn’t know it. The only way to know for sure whether or not you have HIV is to get tested. You could have HIV and still feel healthy. Everyone ages 15 to 65 needs to get tested at least once. Some people may need to get tested more often. To find an HIV testing location near you, text your ZIP code to KNOWIT (566948) or use this online locator. Learn more about HIV/AIDS and how to prevent this disease. Around the world, about 34 million people are living with HIV. In the United States, about 50,000 people get infected with HIV every year. World AIDS Day is a global initiative to raise awareness, fight prejudice, and improve education about HIV and AIDS. 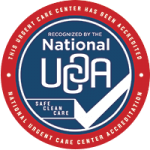 For more information, visit Advanced Urgent Care & Occupational Medicine or call us at 303-659-9700.